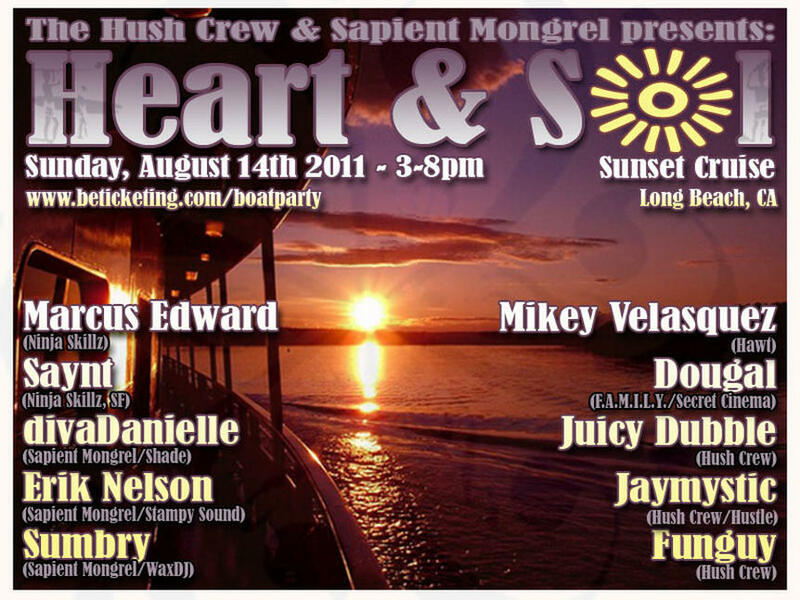 The Heart & SOL Boat Party ft. Saynt and Marcus Edward! Two floors of music, 11 DJs, 2 stocked bars, a sun deck & more! If you get hungry, we'll even have a taco/hotdog stand! There is limited capacity on the boat and are a limited amount of tickets are available, so buy now and ensure you don't miss the boat...literally! Once those are gone, you're S.O.L. so BUY NOW!